Earlier in the day, the CBI filed a chargesheet before a special court here and alleged that Abdullah had connived with the treasurer of JKCA and others for misappropriation of funds. SRINAGAR: The National Conference said today that Farooq Abdullah has full faith in the judicial system and will cooperate with the court's proceedings, hours after the CBI chargesheeted him and three others for allegedly misappropriating over Rs 43 crore from grants given by the BCCI to the Jammu and Kashmir Cricket Association. 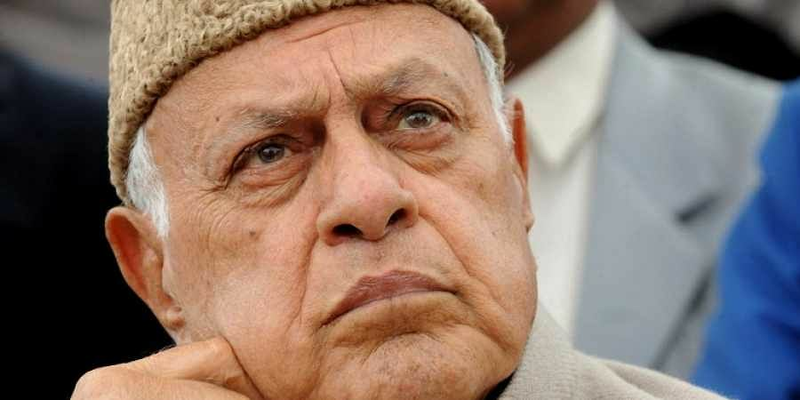 "President Jammu and Kashmir National Conference Farooq Abdullah has full faith in the judicial system and re-asserts his commitment to cooperate with the court's proceedings in the matter relating to certain financial transactions of the Jammu and Kashmir Cricket Association," the NC said in a statement. Earlier in the day, the CBI filed a chargesheet before a special court here and alleged that Abdullah as the association president between 2002 to 2011 had connived with the treasurer of JKCA and others for undue siphoning off and misappropriation of funds. The NC claimed it was Abdullah who had sought registration of an FIR into the alleged embezzlement of funds. "Farooq Abdullah has led his life guided by the strictest principles of selfless public service and probity. He is certain that truth shall prevail," the party added.